Power failure causes entire train line to shut down as diversion of trains leads to increased congestion on Haifa-Tel Aviv line. Traffic on the new train line between Ben-Gurion Airport and Jerusalem was completely halted due to a power failure in the tracks. Israel Railways technicians attempted to resume the line, but because the line is electric, the order was given to stop the entire railway activity until the repairs were completed. Israel Railways stated that the repairs are expected to be completed today, though the company could not provide a specific time for services to resume. 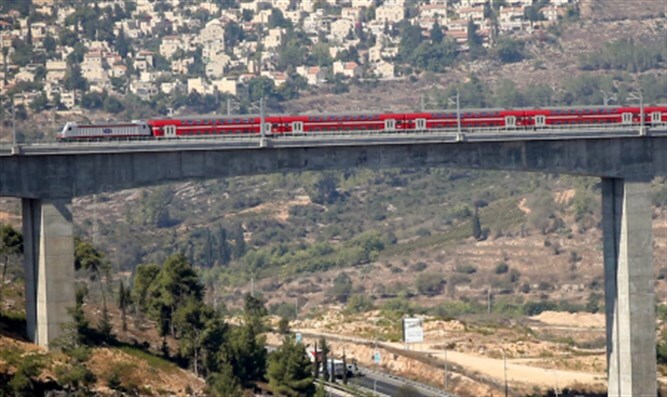 At the same time, the Haifa-Tel Aviv train line saw increased congestion due to the transfer of a number of trains to the new Jerusalem-Tel Aviv line. A demonstration against the changes has been called by Haifa residents for this Thursday.